From Tuesday 3rd – Saturday 7th of April, my book ‘Samantha‘ will be available for free download on Amazon UK and Amazon US. ‘Samantha’ tells a story of a young girl forced into prostitution in the city of Liverpool. Can Sam’s love for Peter, a man she meets in a nightclub, save her? Or will Sam end her life in the murky waters of Liverpool’s Albert Dock? From Saturday 7th – Wednesday 11th of April, my book ‘The Suspect and other tales‘ will also be available for free download on Amazon UK and Amazon US. ‘The Suspect and other tales’ contains stories of the unexpected, ranging from tales of crime and vengeance, through to ghostly happenings in an ancient mansion. 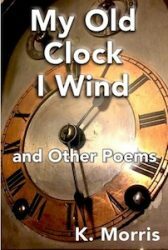 My latest collection of poetry, ‘My old clock I wind and other poems’ is also available on Amazon and can be found on both Amazon UK and Amazon US. ‘My old clock I wind and other poems’ is a collection of 74 new and original poems. It contains both melancholy and more cheerful pieces contrasting the fact that We can enjoy life – but at the same time cannot escape its inevitable end. 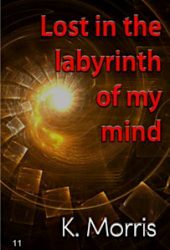 My previous collection of poetry ‘Lost in the labyrinth of my mind’ is also available on Amazon UK as well as Amazon US. ‘Lost in the labyrinth of my mind‘ is a collection of poems about nature, love, and life in general. This entry was posted in books, creative writing, literature, newauthoronline, poems, poetry, sharing your work, short stories, uncategorised, Uncategorized and tagged free book promotion, k morris amazon, k morris author, k morris poet, lost in the labyrinth of my mind, My old clock I wind and other poems, newauthoronline, reading, samantha k morris, the suspect and other tales on April 1, 2018 by K Morris Poet. 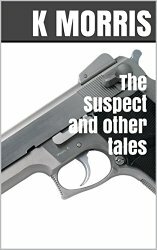 My thanks to Alain Gomez for this review of my collection of short stories, “The Suspect and Other Tales”, (http://bookbrouhaha.blogspot.co.uk/2016/04/review-of-suspect-and-other-tales.html). This entry was posted in books, literature, short stories, uncategorised and tagged book review, book reviews, crime, fiction, k morris author, k morris poet, newauthoronline, reading, tales of the unexpected, the suspect and other tales on April 28, 2016 by K Morris Poet. “This is a well-written collection of tales, some of which have surprising endings, and all of which make for great reads. I enjoyed “the Condemned Man” a lot. But “Something Wicked” and “The 8.32” were my favourites”. Many thanks to the reviewer for taking the time to read and review “The Suspect and Other Tales”. 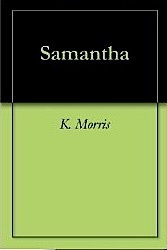 This entry was posted in books, literature, short stories, uncategorised and tagged book reviews, crime, ghosts, k morris author, k morris poet, newauthoronline, suspense, the suspect and other tales, the suspect and other tales book review, unexpected endings on March 26, 2016 by K Morris Poet. The free promotion of my book, “The Suspect and Other Tales” ends on 8 June 2015. To read reviews or to download “The Suspect” free please visit http://www.amazon.co.uk/The-Suspect-other-tales-Morris-ebook/dp/B00PKPTQ0U (for the UK) or http://www.amazon.com/The-Suspect-other-tales-Morris-ebook/dp/B00PKPTQ0U (for the USA and rest of the world). 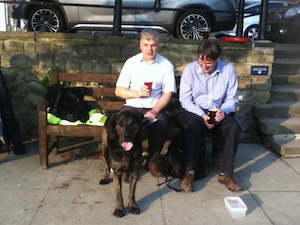 This entry was posted in books, literature, uncategorised and tagged book reviews, crime fiction, flash fiction, free book promotion, k morris author, newauthoronline, reading, short story, tales of the unexpected, the suspect and other tales on June 7, 2015 by K Morris Poet. An excellent short essay on the site, Interesting Literature regarding Edgar Alan Poe’s poem, The Raven (http://interestingliterature.com/2014/11/15/guest-blog-the-raven-nevermore/). The post’s author rightly sees the raven as the personification of melancholy and death. The Raven plays a pivotal role in my story, “Something Wicked”, which appears in my latest collection of short stories, “The Suspect And Other Tales”, (http://www.amazon.com/The-Suspect-other-tales-Morris-ebook/dp/B00PKPTQ0U). In “Something Wicked”, a young boy, Charles becomes obsessed by the Raven with the bird worming it’s way into his nightmares. Is the knocking which Charles hears produced by the sinister raven or is the sound a mere figment of his imagination? This entry was posted in books, literature, short stories, Uncategorized and tagged crime, flash fiction, ghost stories, horror, k morris author, poetry, short story, the raven edgar alan poe, the suspect and other tales on November 15, 2014 by K Morris Poet.